Economic Freedom Fighters Leader Sello Julius Malema has warned President Emmerson Mnanga to beware of Vice President Constantino Dominic Nyikadzino Chiwenga who wants to bring a military style of leadership in Zimbabwe. Addressing a press Conference on Wednesday Malema said,"Mnangagwa must know that his behavior is tyrannical and barbaric. How do you switch off internet and kill people in 2019? We do not support brutal dictatorship. Mnangagwa must beware of that Chiwenga a former military General who wants to bring military dictatorship in Zimbabwe." 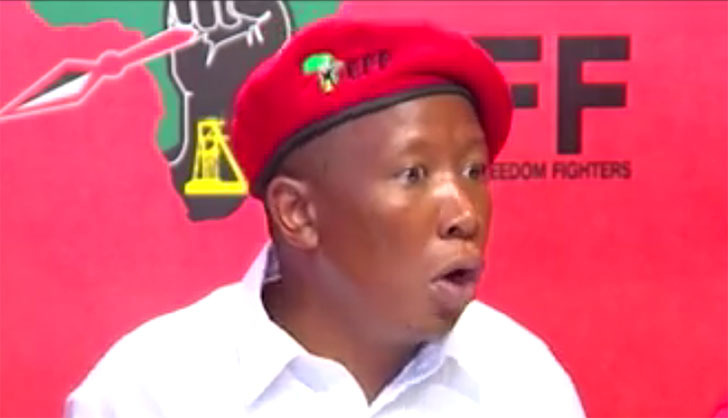 Malema further urged South Africans to assist Zimbabwe if they do not want to see them flooding the South Africa. He vowed to fight anyone who will stop Zimbabweans from coming to South Africa.